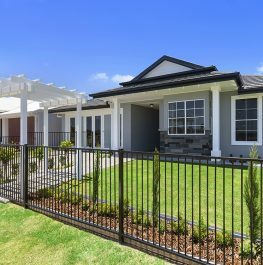 New Town Home Development in Coomera is a First Home Owners Delight! 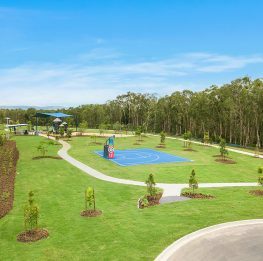 Coomera has long been one of the top growth suburbs in Queensland, and with housing affordability easily surpassing Brisbane and Gold Coast CBD on average by $100,00 it’s not hard to see why this area is popular with first home owners. Coomera’s population has grown by more than 50 per cent in recent years, reflecting the residential boom occurring across the Gold Coast. “The development is set to be completed by mid-June 2019 and presents buyers with an estate that focuses on quality and affordability,” said Mr Rix. “The Sanctury offers prospective residents four different floor plans to choose from within the collection of 15 town homes. “The quality of the town homes is undoubtable, we’ve focused on the marriage between functionality and design, with all of the floor plans, so that everything from natural light to maximising private open space has been considered. “Despite the high calibre of the town homes, the development is set at a really competitive price point. 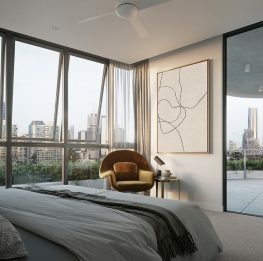 “The affordability of The Sanctuary makes it the ideal investment for first home owners, with the development eligible for the Queensland First Home Buyers Grant. The setting of Coomera Retreat is excellent, with close proximity to Gold Coast Beaches and only a short 40-minute drive to Brisbane, it’s the ideal location to balance work and play. “The area of Coomera itself also provides residents with major infrastructure advances, such as the Westfield Coomera Town Centre, opening on Thursday 11 October, which is contributing to the recent growth the area has witnessed,” said Mr Rix. “Young families are also afforded a wealth of schooling options, making this a great location for those looking for out-of-city living without having to compromise on their children’s education. House and land packages are available from $435,000 with four architecturally designed floorplans available to choose from.